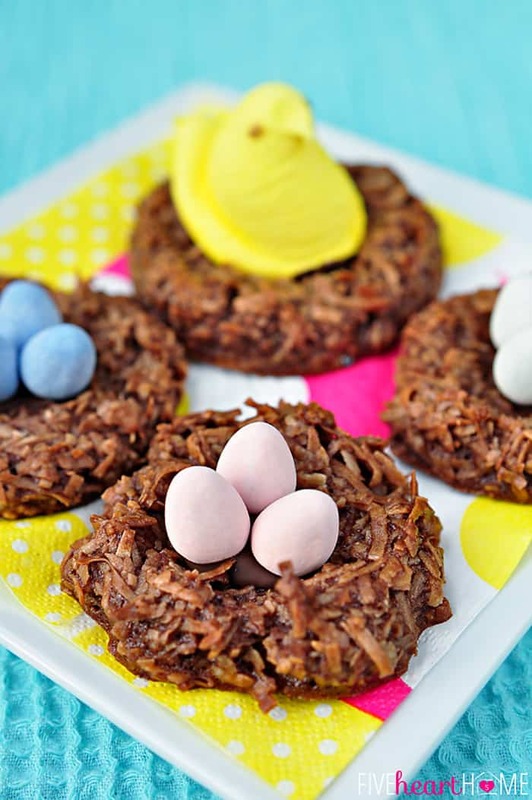 Chewy chocolate coconut macaroons are shaped into bird’s nests and decorated with colorful Peeps chicks and candy-coated chocolate eggs for a festive Easter cookie or springtime treat! One of my favorite early signs of spring is the return of bird song. It might still be cold out, but if the birds are back, you know that the turning of the weather can’t be too far behind. When we lived at our last house, we had sparrows that built mud nests in the corners of our back porch each spring. 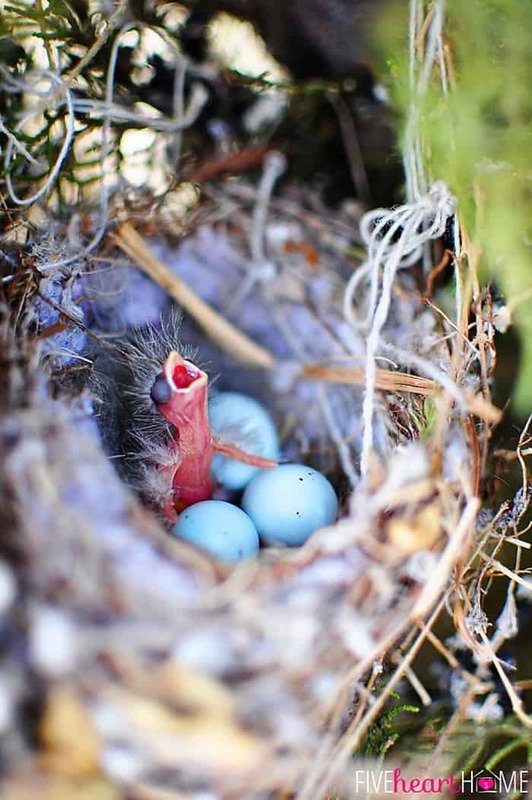 My husband hated the mess, but the birds usually laid their eggs before he had a chance to deter them from building their nests there…so then, of course, we had to leave the nests alone and let the baby birds grow up and fly away before knocking down the mud. Yep, if you drive past my house, I would be the crazy lady in her front yard, standing on a stepping stool with her camera stuck in a bush. Anyway, in my mind, nothing symbolizes springtime like a bird’s nest! 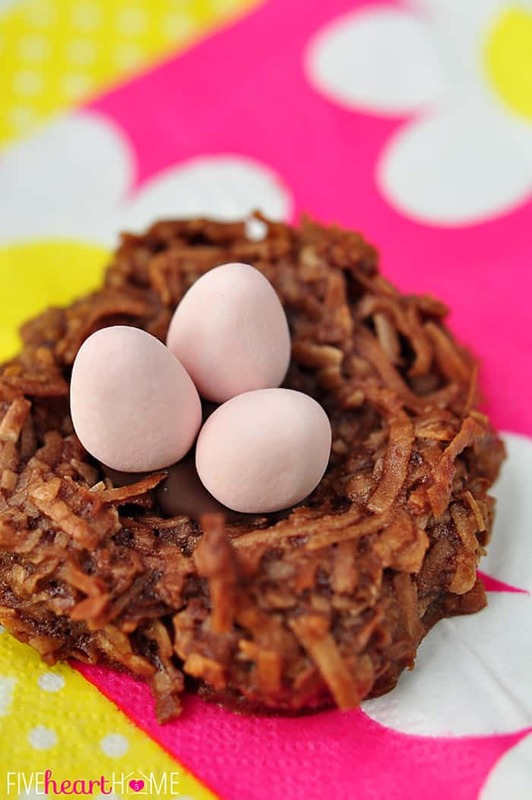 When I was brainstorming spring blog post ideas back in February, I knew I wanted to create some sort of bird’s nest cookie, and I thought that making a chocolate version of my tried and true coconut macaroon recipe would be a good start. I figured I could also hit the store to see what kind of bird and/or egg Easter candy I could rustle up. The only problem? 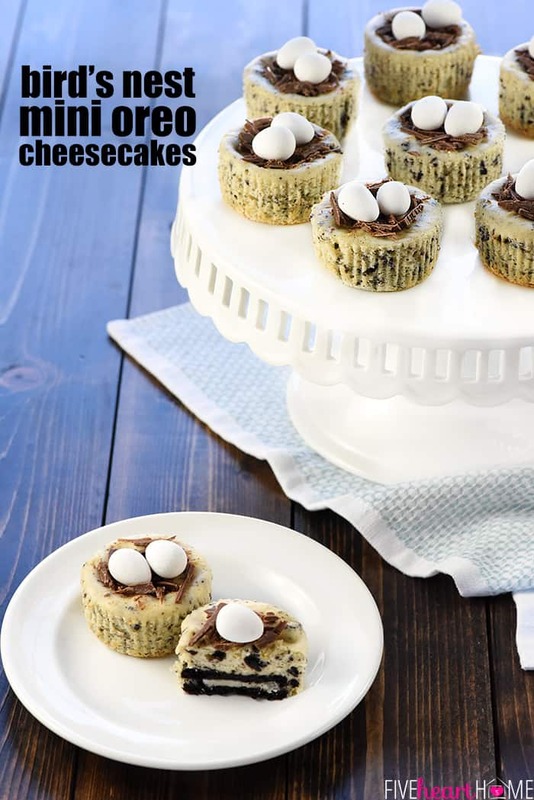 By the time I finally created and photographed my nests, about 467 other cute bird’s nest cookies and cupcakes and cakes had popped up all over my Pinterest feed! Food bloggers are a creative lot, y’all, but since there are about eleventy billion of us, there aren’t many (any?) ideas that haven’t already been done before in some variation. But I still struggle with the guilt when I have an idea for a recipe and then someone else beats me to it. It happened with my recent Spring Salad…I came across an extremely similar salad about a week after I posted it, but then saw that the publishing date was actually two days before mine. 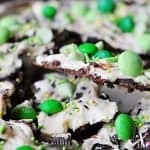 And now, I have a post on my calendar for next week, and I just saw a very comparable recipe when browsing Pinterest today. Ugh. 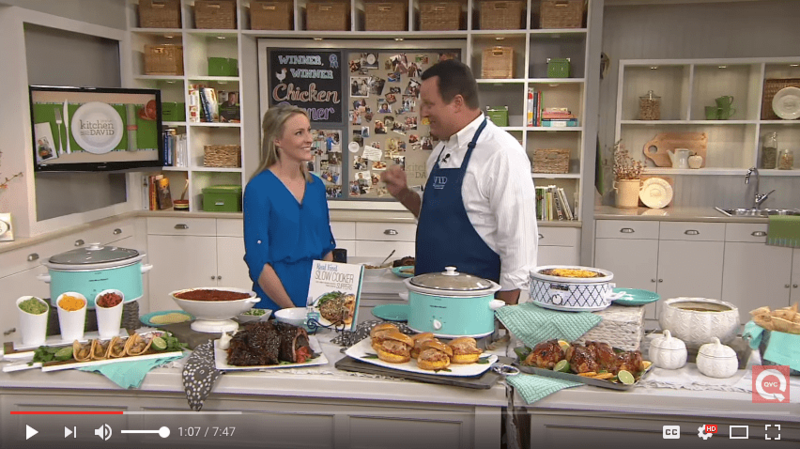 So all of this is to say, I have great admiration for all of the talent out there in blog land, and if I am ever inspired by a particular recipe or if I adapt something that I’ve found somewhere else, I will always attribute credit with a text link under my recipe. However, if I have an original (or what I think is original) idea, and I make plans for it, create it, and/or photograph it before discovering that someone else had the same original idea…I pretty much have to proceed with my post anyway (or I won’t have anything to blog about!). Okay, enough of my disclaimer. Onto these cute little cookies! I’ve been making these coconut macaroons for years, and ohmygoodness…why in the world did it never occur to me to add cocoa powder to the recipe before now?! Yummy. I made these nests larger than my usual coconut macaroon cookies, and consequently, they did need to bake a few minutes longer. I also learned that when it comes to nests, messy is better! The nests with random bits of coconut sticking up in different directions looked more authentic than the ones that were perfectly round and smooth. After baking off my nests, I knew that I needed something to make my candy accents stick in the center of the each nest, so melted chocolate seemed like the obvious choice. 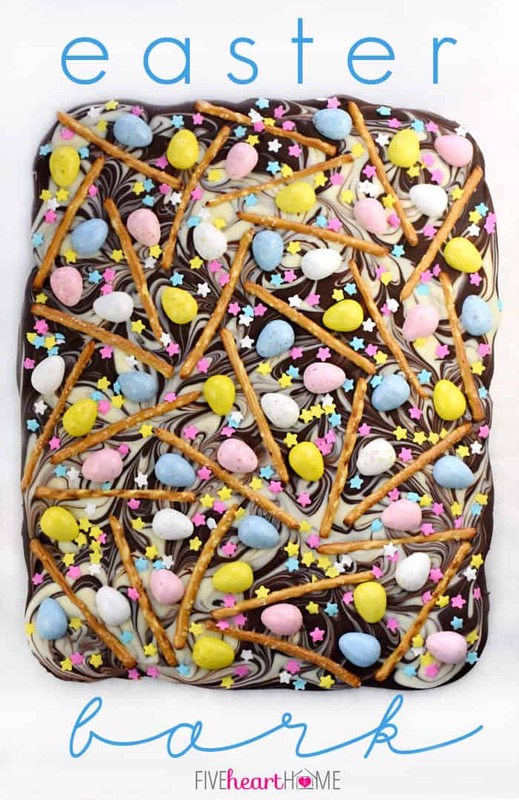 As for candy, there are a ton of different options for mini eggs out there, but I think that candy coated chocolate eggs are the way to go for these cookies. Chocolate complements chocolate (better than a jelly bean egg would), and the candy coating gives you lots of cute pastel options. I used Cadbury mini candy-coated chocolate eggs, but there were multiple options in the Easter candy aisle. Finally, what says Easter better than sparkly-sprinkled, marshmallow-centered Peeps? 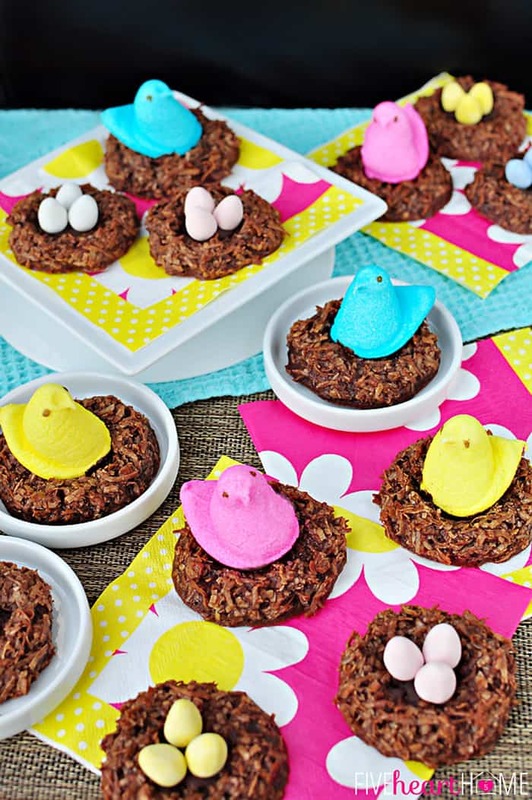 The little Peeps chicks looked right at home in my bird’s nests, and the marshmallow paired nicely with the chocolate and coconut flavors as well. 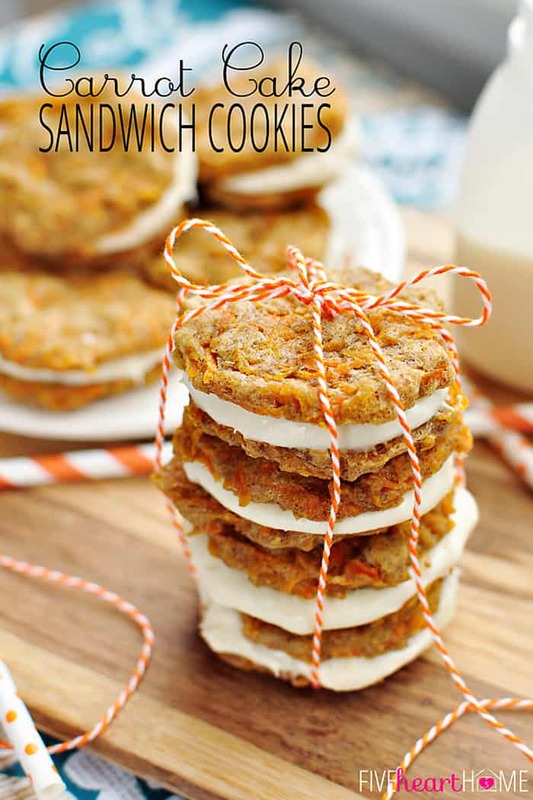 These cookies were a breeze to make and I think they turned out pretty darn cute. 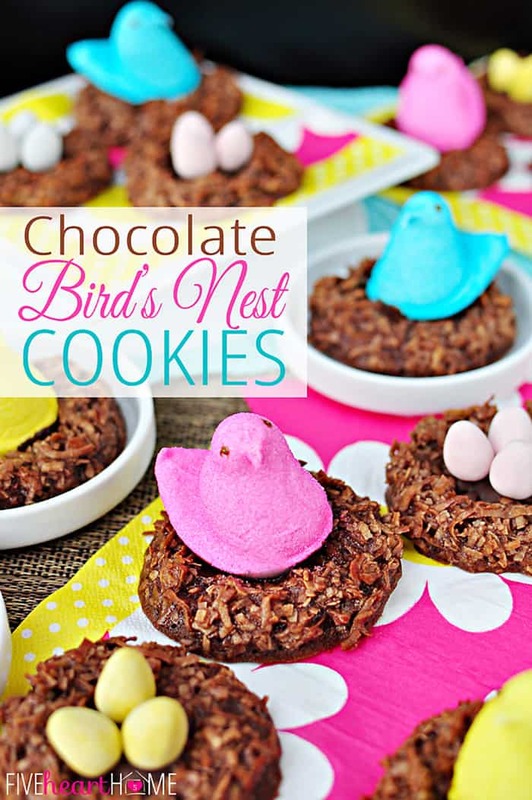 Wouldn’t they be a hit at Easter or during any celebration occurring this spring? Hope you enjoy this one, friends! 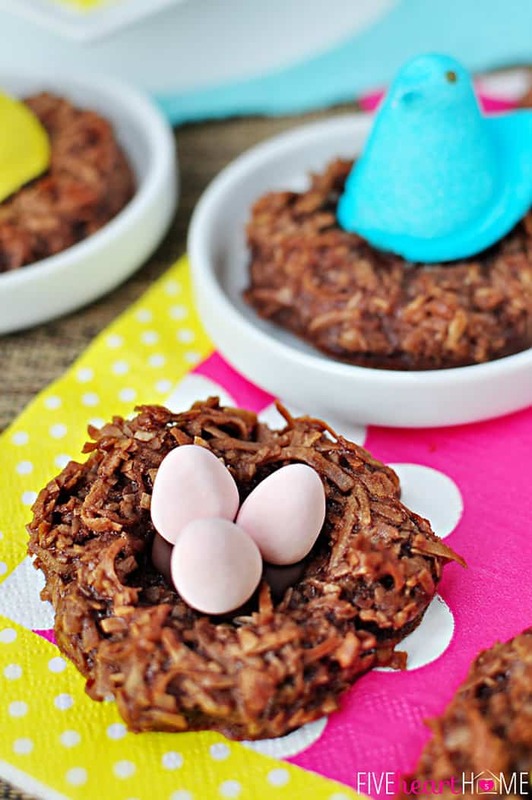 Chewy chocolate coconut macaroons are shaped into bird's nests and decorated with colorful Peeps chicks and candy-coated chocolate eggs for a festive Easter cookie or springtime treat! Preheat oven to 325°F. Prepare two cookie sheets by lining them with parchment paper. In a large bowl, use an electric mixer to beat the egg whites until frothy. Mix in salt, sugar, vanilla, cocoa powder, and flour and beat another minute until smooth and thickened. Stir in coconut until all ingredients are well combined. Use a cookie scoop to drop a scant 3 tablespoons of dough per cookie onto prepared cookie sheet, spacing cookies at least 1-inch apart and fitting 7 to 8 cookies per pan. Using fingers to form dough into a nest measuring approximately 2 1/2 inches across with an indentation in the center. Bake for 23 to 25 minutes or until cookies are set. Allow to cool for a couple of minutes on the cookie sheets before transferring to a wire rack to cool completely. 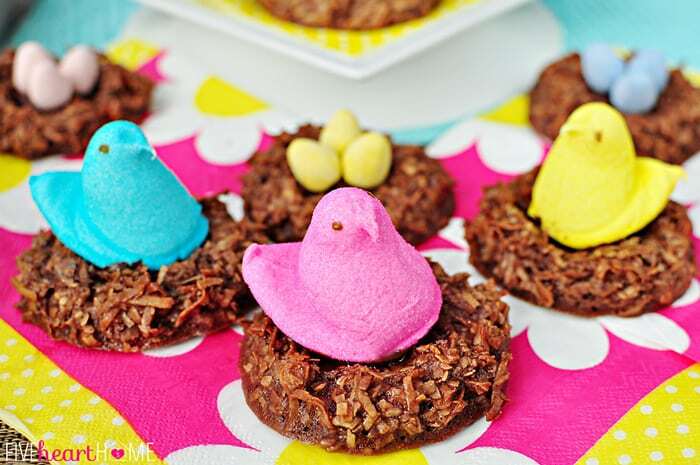 Once cookies are cool, place a spoonful of melted chocolate into the center of each nest, and arrange three chocolate eggs on top or press in a Peeps chick. These coconut macaroons really stick to the pan without parchment paper; I've found that it works much better than greasing the pan and I highly recommend using it. Recipe adapted from Coconut Macaroons here on Five Heart Home. 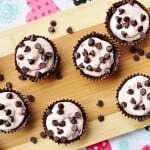 Cherry Cheesecake Chocolate Cups ~ A Perfect Valentine’s Dessert! 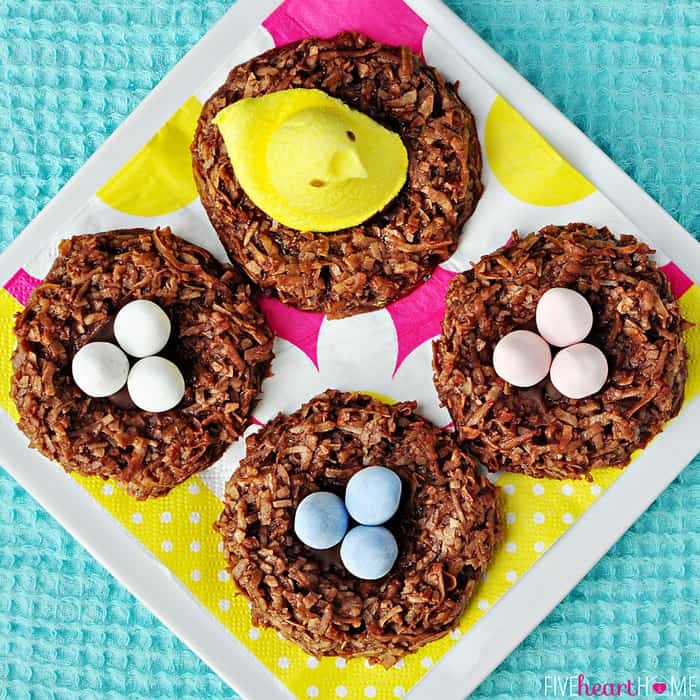 The baby bird picture is awesome – and – so are these bird’s nest cookies! G’day! 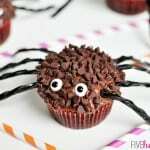 How cute do these look Samantha! GREAT photos! Your little nests are wonderful! My kids would love them! Thanks so much, Erin! 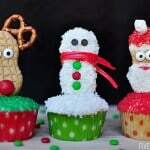 I bet your kids would have fun helping you make these and eat them! 😉 Happy Friday! 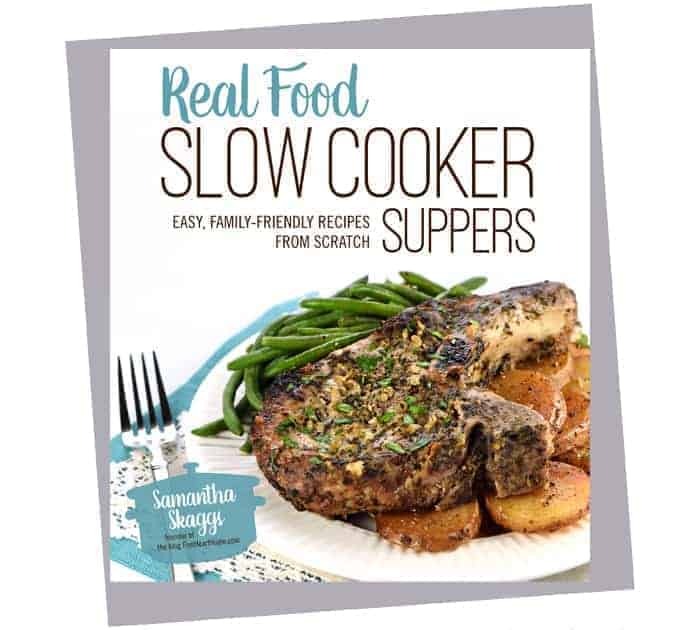 Hi Samantha! 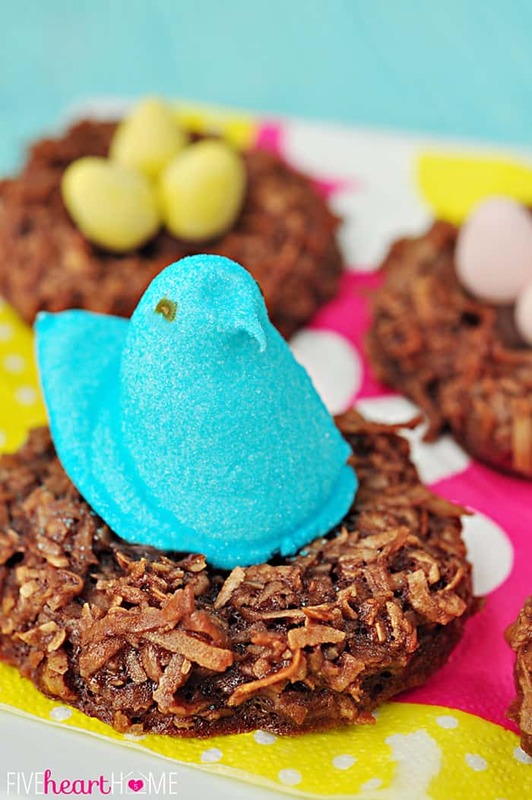 These cookies look so perfect for spring and I love peeps. That is an AMAZING photo you took of the birds nest, I just love it!!!! 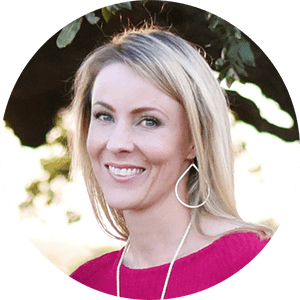 Thank you so much for sharing at Best of the Weekend and pinning – have a fabulous day! Thank you, Cindy! I have to admit, that’s one of my favorite pictures that I’ve ever taken (and it was mostly the result of luck). 😉 Thanks for stopping by, and as always, I appreciate the pin. Have a great week! 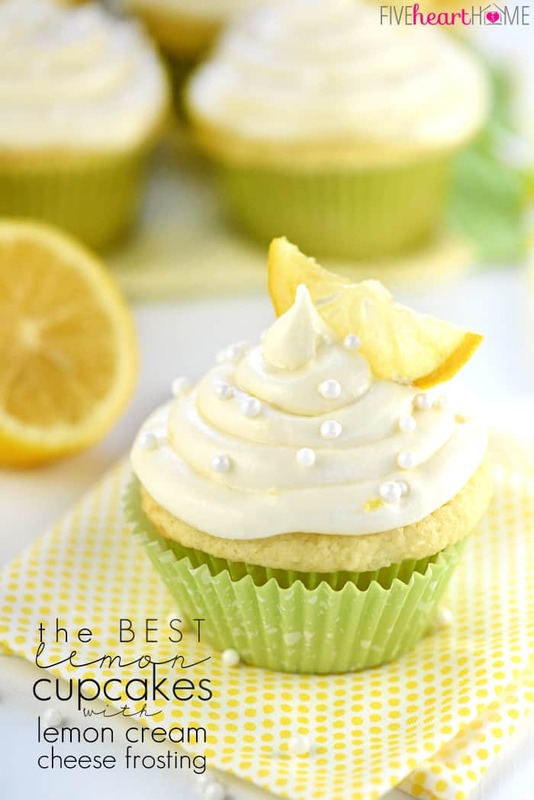 These look so cute and yummy – pinned it! Thanks, Courtney…I appreciate that! Hope you’re having a great week!